A great part of our love of what we do is the pleasure we take in caring for our surroundings. 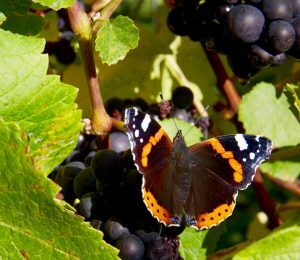 Of course, most effort goes into growing delicious grapes but we also put time and money into looking after our field margins, hedgerows, ponds and copses, taking care with mowing and hedge-cutting, clearing some but not all brambles and only using weed control directly under the vines themselves. 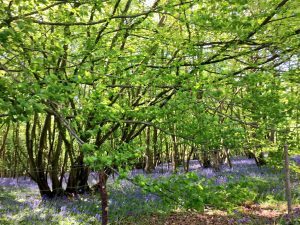 We are very aware that our planted area of vines is a permanent monoculture so we are keen to ensure that our field margins and ponds and coppices support a diverse range of plants and flowers for insects, small mammals and beauty. We like being part of a wider world. Alleyways also allow us to encourage biodiversity; they are planted with a bee and pollen mix which will be reseeded in a few years as the mowing regime inevitably allows grasses to thrive. 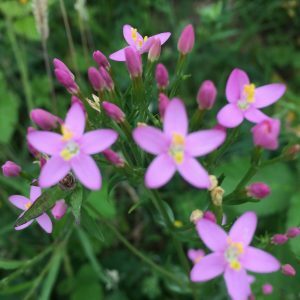 We were amazed to find the Bitterwort: Common Centaury (Centaurium erythraea ) growing in the alleyways last year as this pretty low-growing flower is more usually found on very dry soils. Birds, bees, bugs and animals are our constant companions. One of the glories of the past decade has been the increase in raptors, growing from rarely-sighted to always there. The vineyards have slightly different raptor presences; both are over flown by buzzards but one also stands below the wing shadow of red kites. 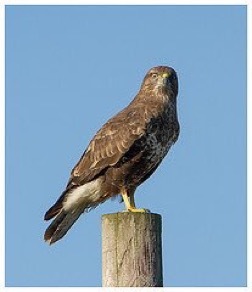 We’ve learned to tell them apart by their calls, the “Kee Kee” of the kites , the “mew” of the buzzards or by the distinctive shape of their tail feathers when they are in flight. Last year we had a pair of nesting Hobbys to keep us company , hunting field mice and voles whilst we worked. It’s a stop-and-stare-don/t breathe thrill to see them using the trellis as lookout perches and amazing to be able to be within three meters or so of this visitor from Africa. Kestrels and sparrow-hawks are often seen too.